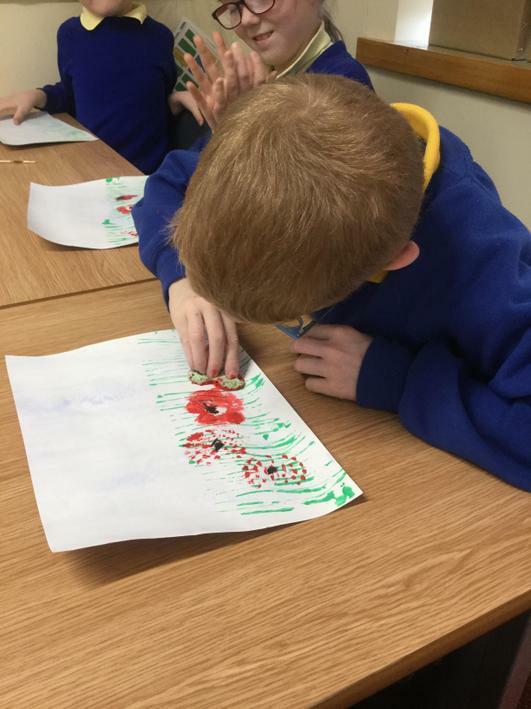 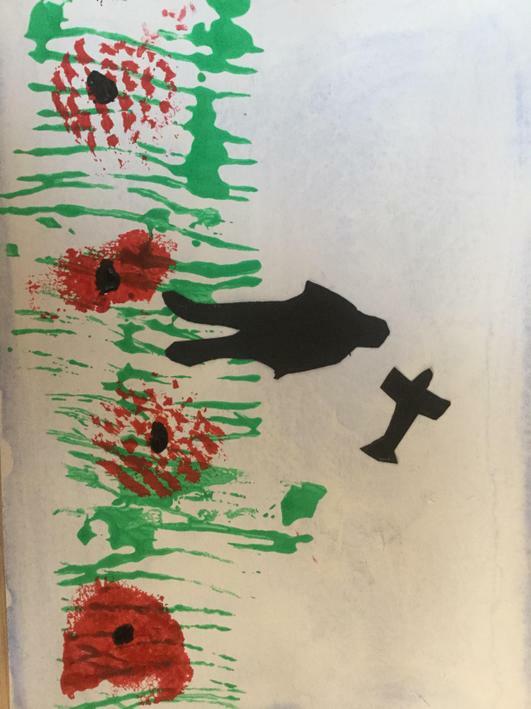 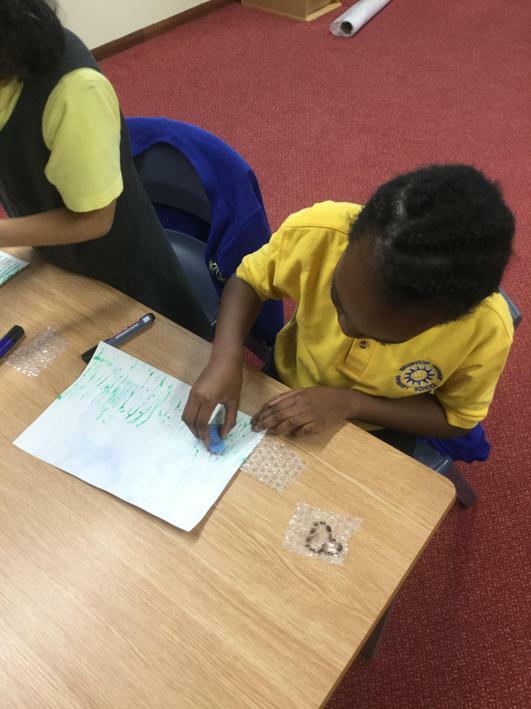 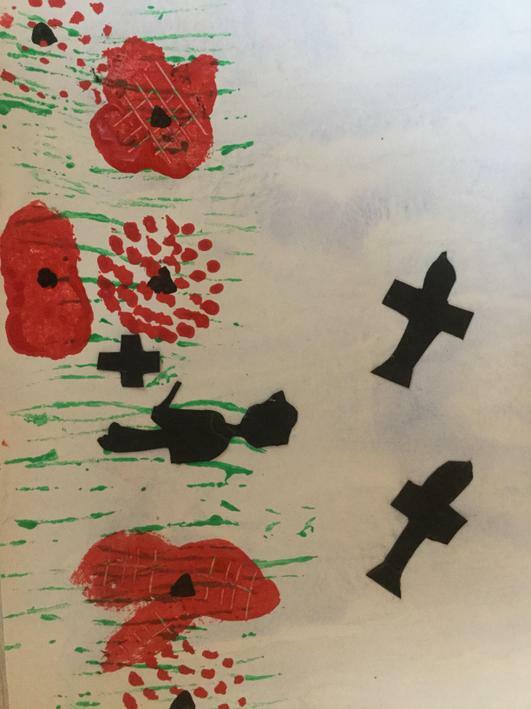 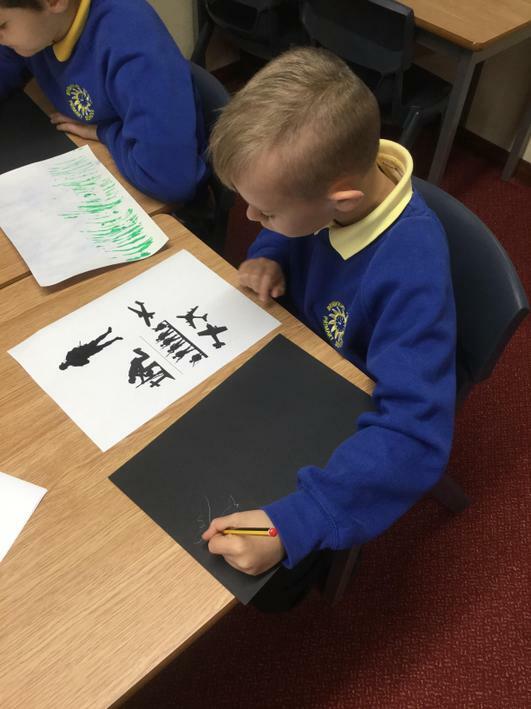 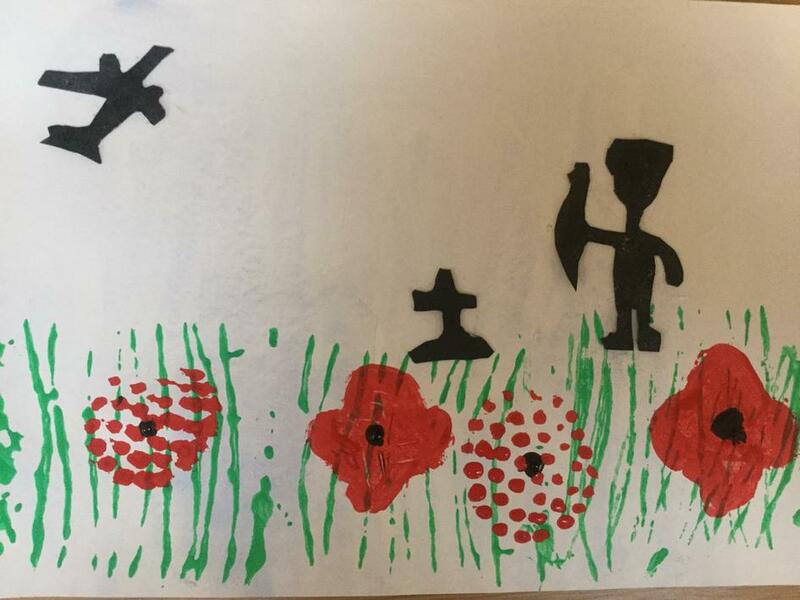 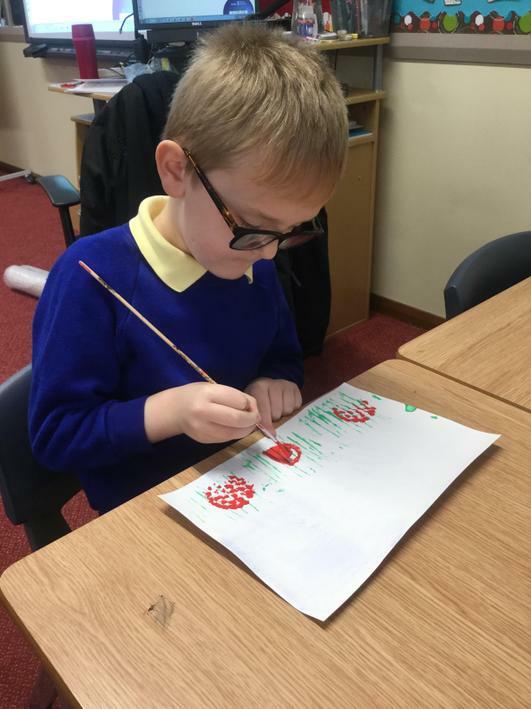 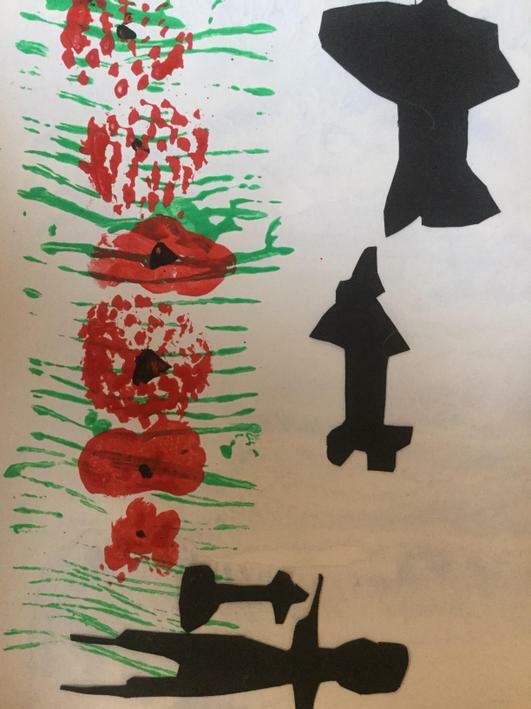 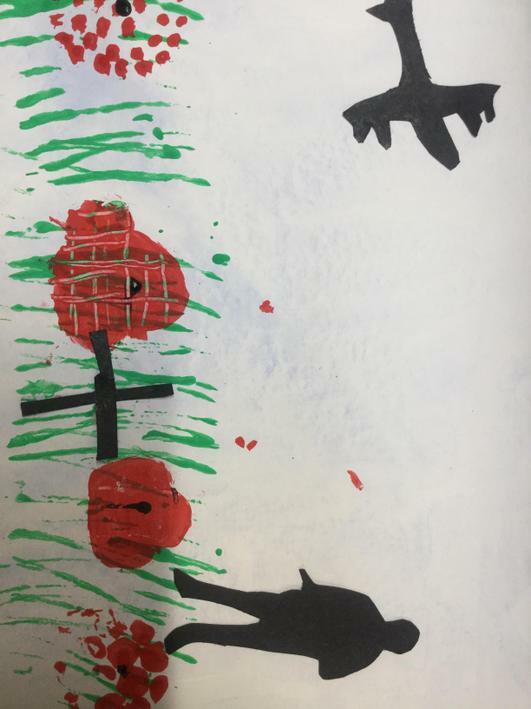 This week during golden time, the children have used their fine motor skills to create a poppy picture to represent Remembrance day. 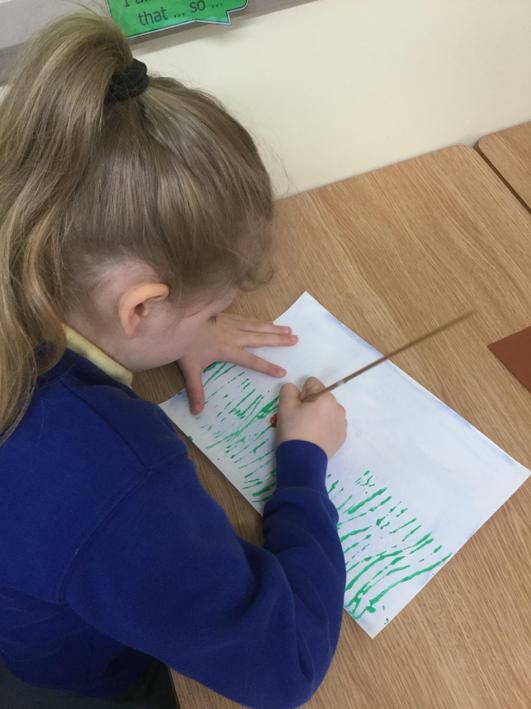 The children began by using a blue wash to create the sky on their picture. 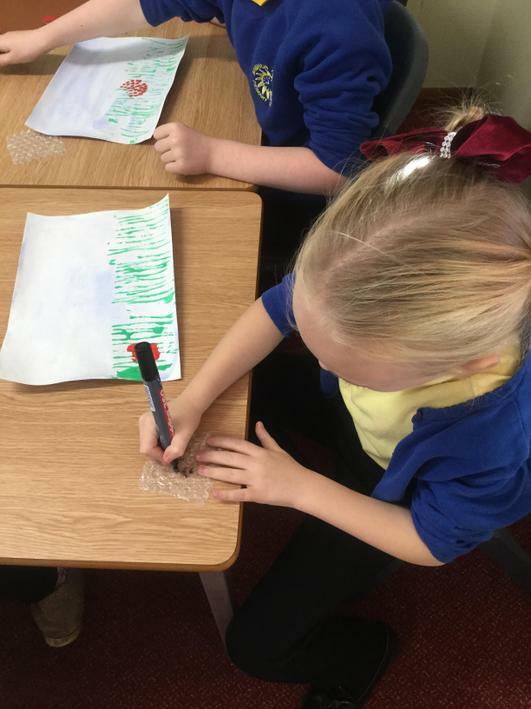 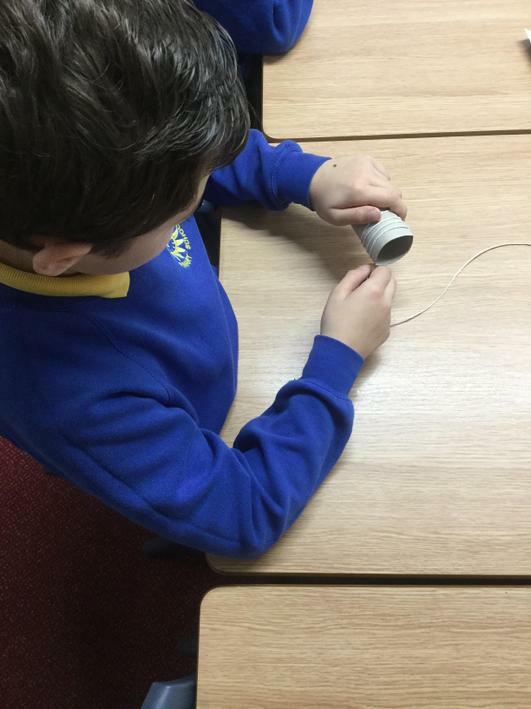 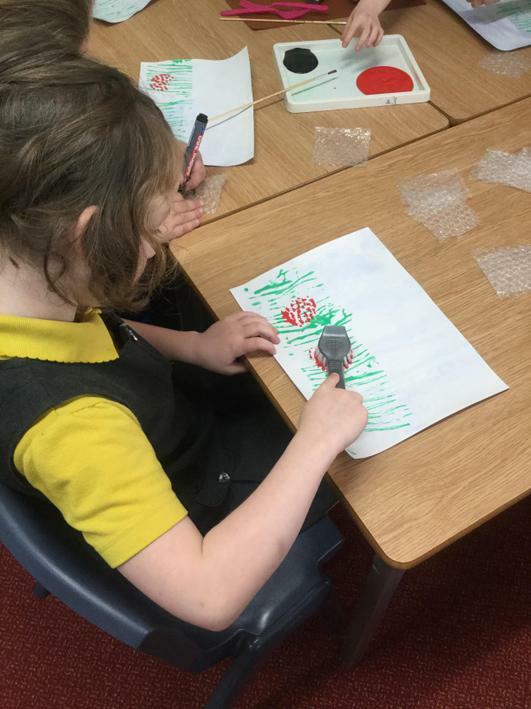 Following on from this the children used a toilet roll tube with string wrapped around it, using green paint the children applied it to their picture for a grass effect. 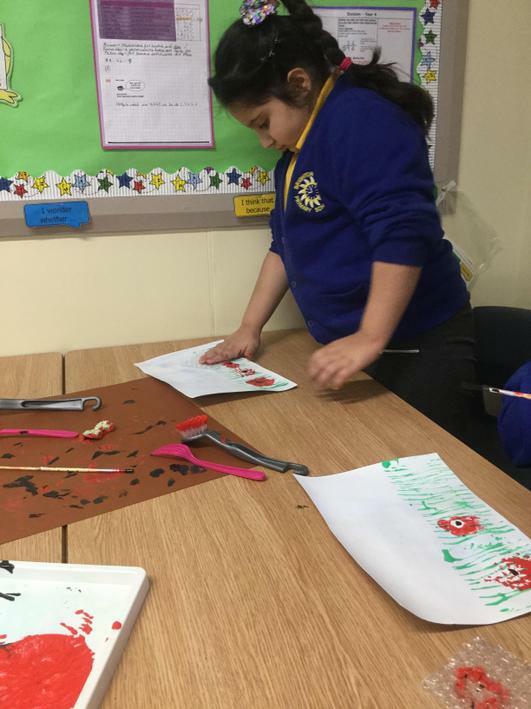 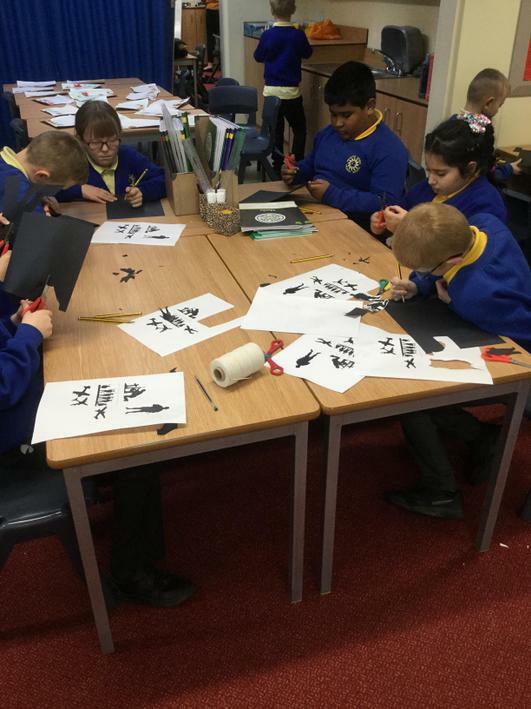 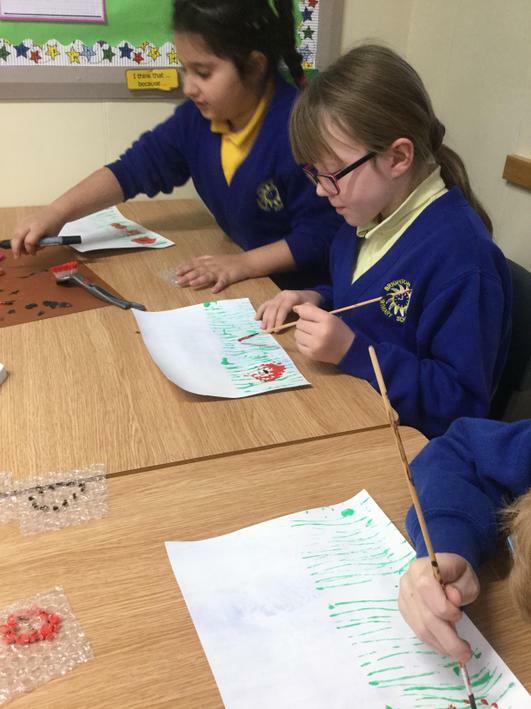 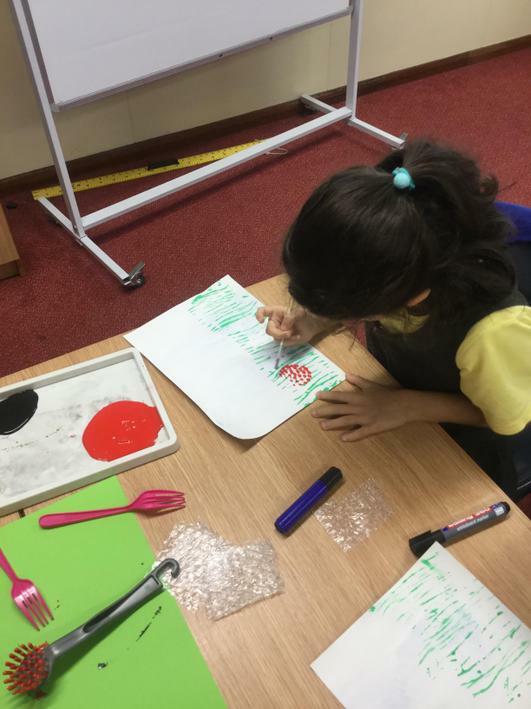 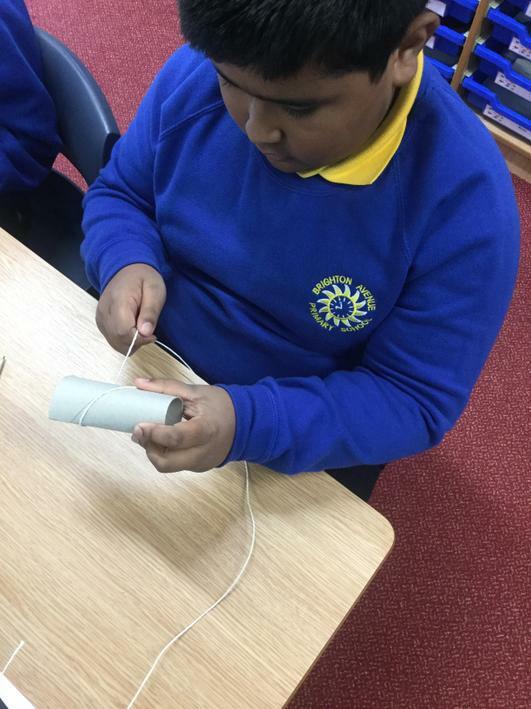 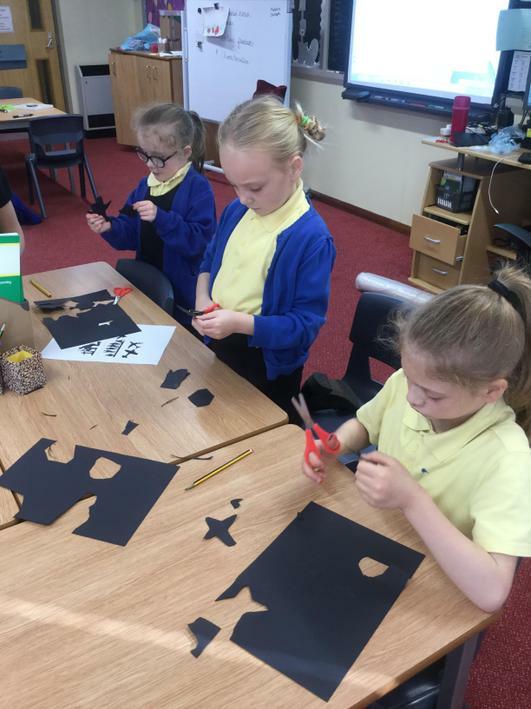 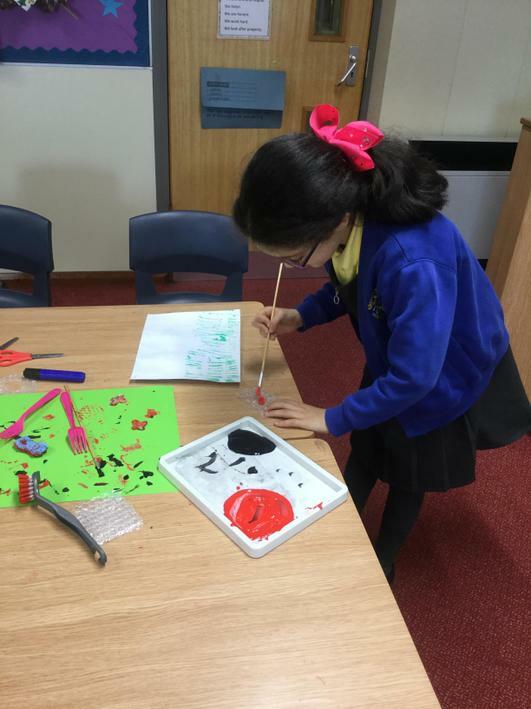 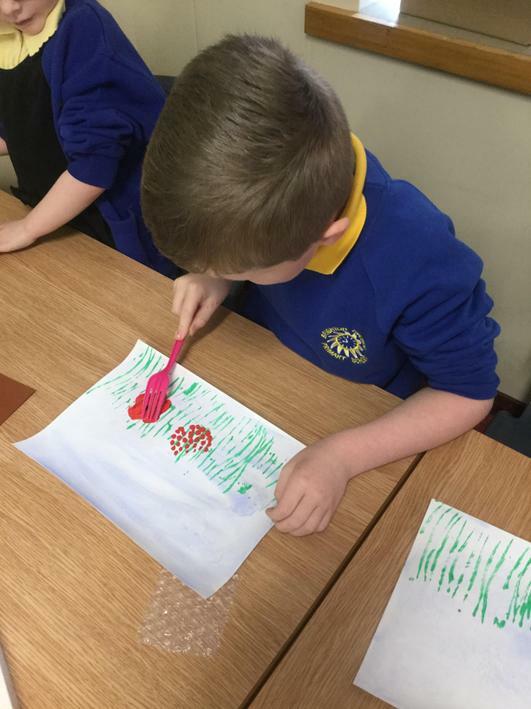 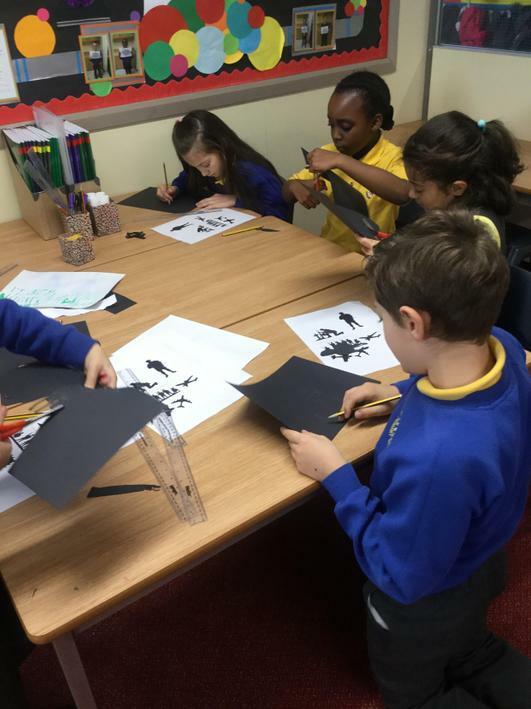 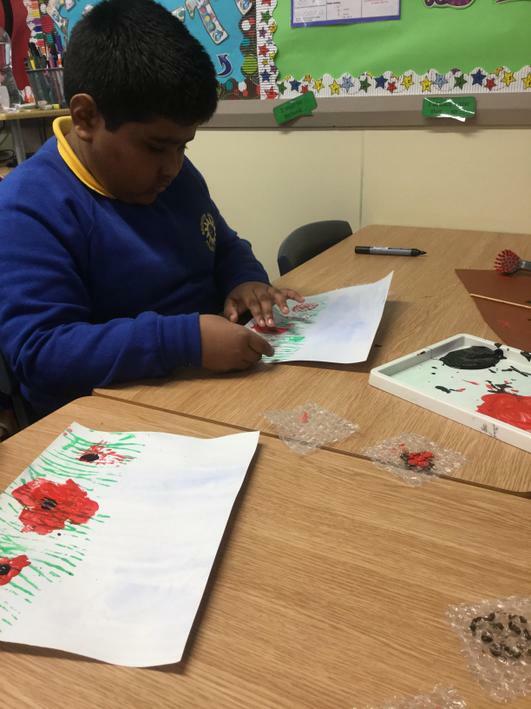 Next they were given a variety of tools to enable them to create their poppies, materials such as; bubble wrap, paint brushes, cleaning brush and a small sponge alongside red and black paint. 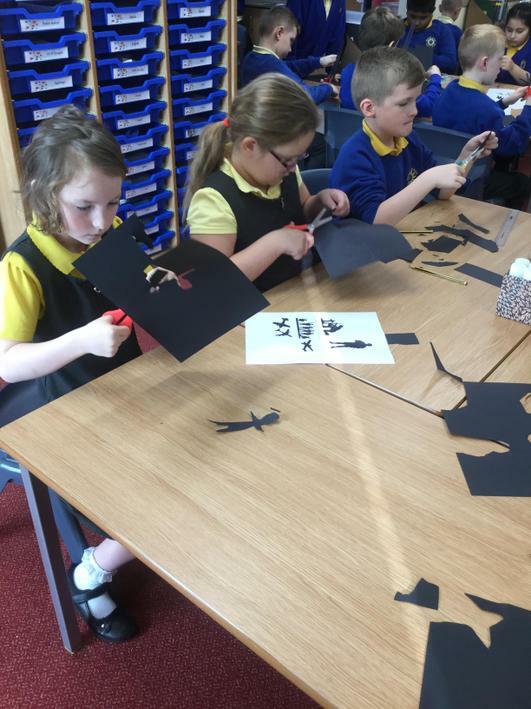 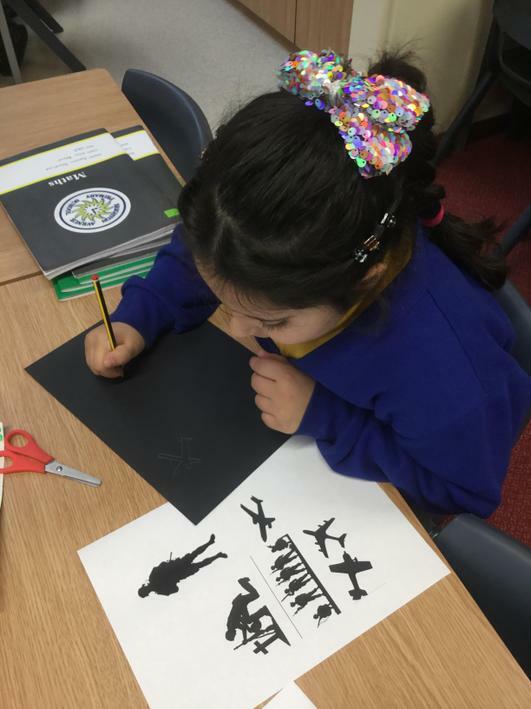 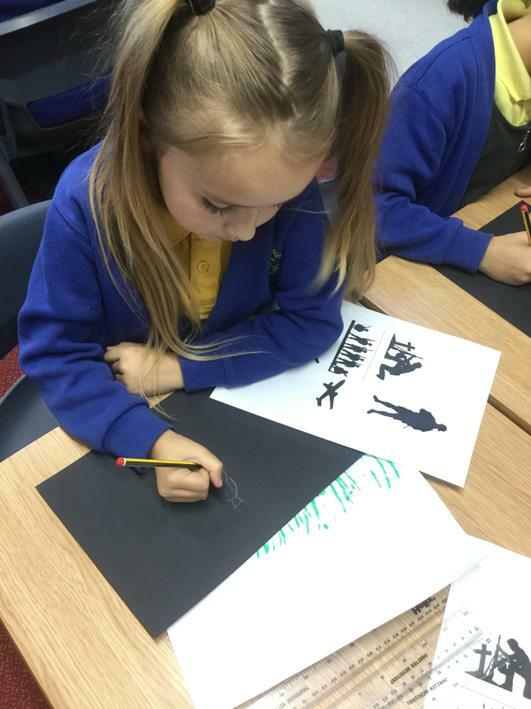 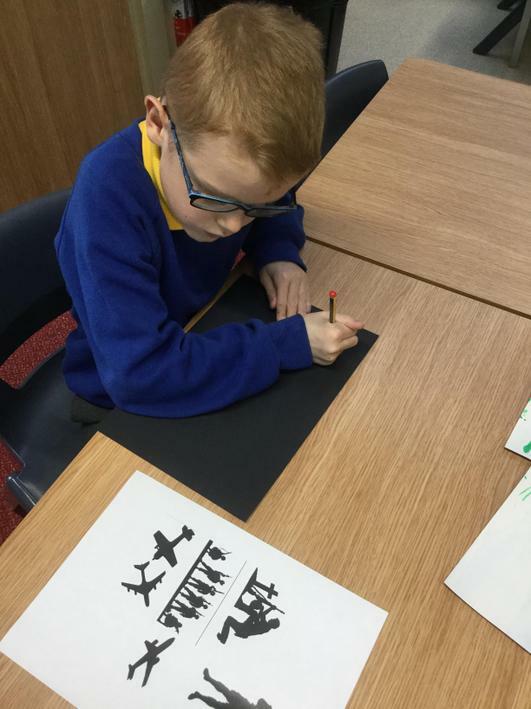 The final stage of their picture was to draw and cut out their soldiers and planes. 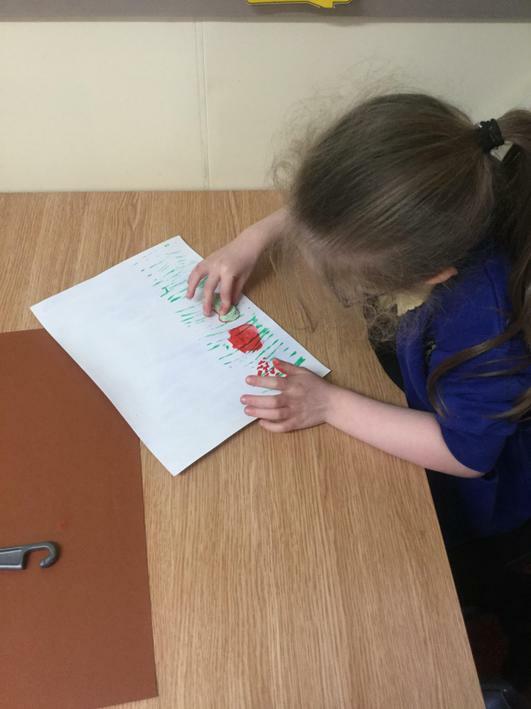 Some children found this tricky but kept going. 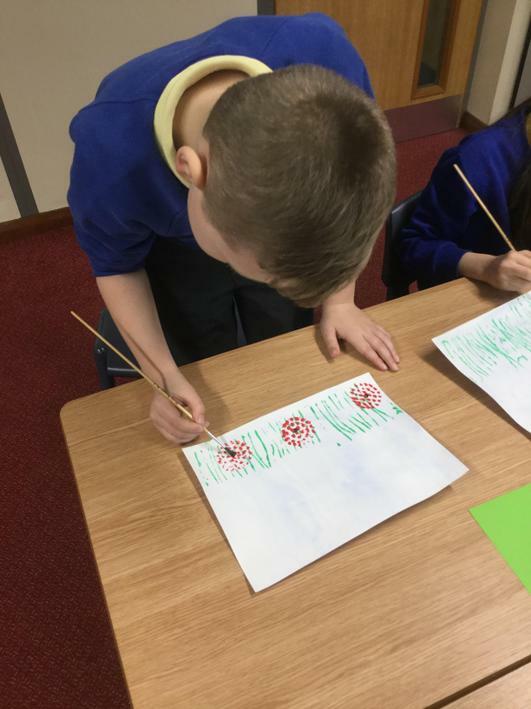 Everyone created some beautiful pictures!